Home > News > Russian Website Now Available! 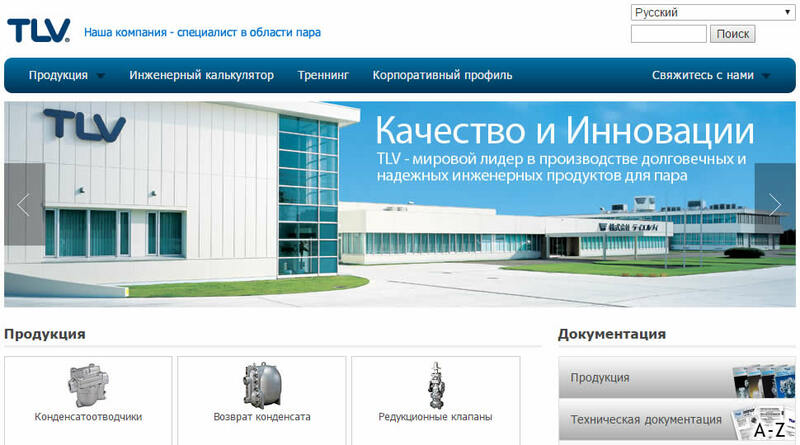 We are pleased to announce the launch of the TLV website in Russian. The Russian website will bring direct TLV support to our valued customers and partners in Russia and other Russian-speaking regions. The TLV website is now available in a total of 9 languages. You may change the website language at any time by selecting your desired language from the menu in the upper-right corner. Content available on the Russian website includes our full corporate profile, plenty of product information, and our Engineering Calculator. We also offer full support for inquiries and product requests in Russian through our contact form. Along with the previously released Russian version of TLV ToolBox, we hope that these latest additions to our website will make for a better customer experience and show TLV’s dedication to warm relations with our Russian partners. Please stay tuned as we periodically add content to our Russian website.